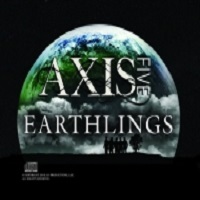 AXIS Five has just released their "EARTHLINGS" album. Get it everywhere you stream or buy music. Here is the rock music video for the title track. This song is about you! Well - it is about all of us humans, and how we think we are so important; yet, we are all just spinning around in space on a blue-green ball.